Ready-for-occupancy: Accessible. Available. . . yet so affordable! Presidio is a sprawling condo community. 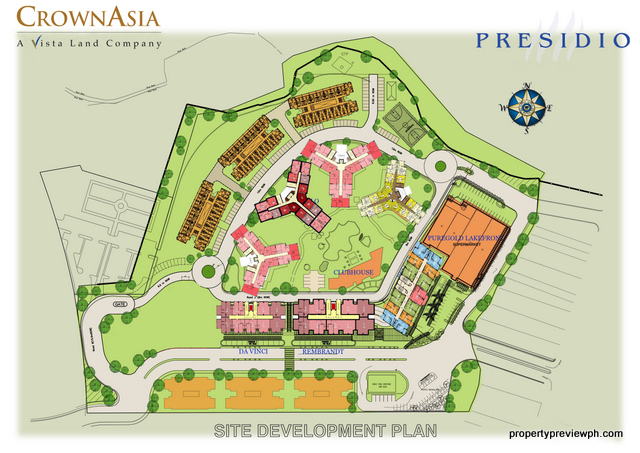 Launched in May 2004, Presidio already boasts of 6 buildings. 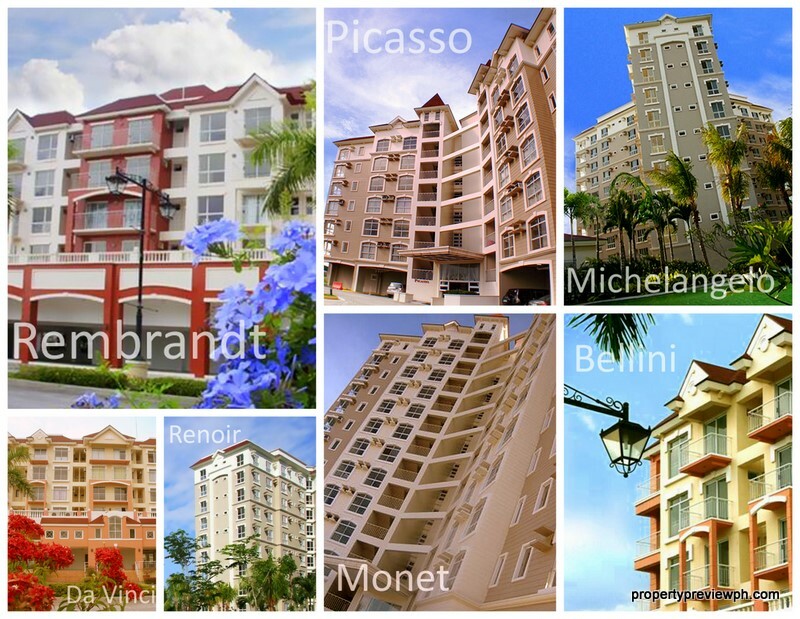 Click here to view our Ready-for-Occupancy units (as of 2016). Nestled in the Lakefront’s 60-hectare master-planned development beside Laguna de Bay in Sucat, Presidio offers the chance to finally settle with the pleasures of residing in a community that fosters holistic living while still attuned to the demands of modern life. With Presidio’s towers named after the great masters of art, most of them from the Renaissance period, walking around the structures feels like a curated trip to the Louvre, Museum of Modern Art or the Musee d’Orsay; an assimilation of the aesthetics and evocations of the namesakes of the buildings: the grand masters of the arts such as Monet, Renoir, Michelangelo, Picasso, Da Vinci, Rembrandt and Bellini. 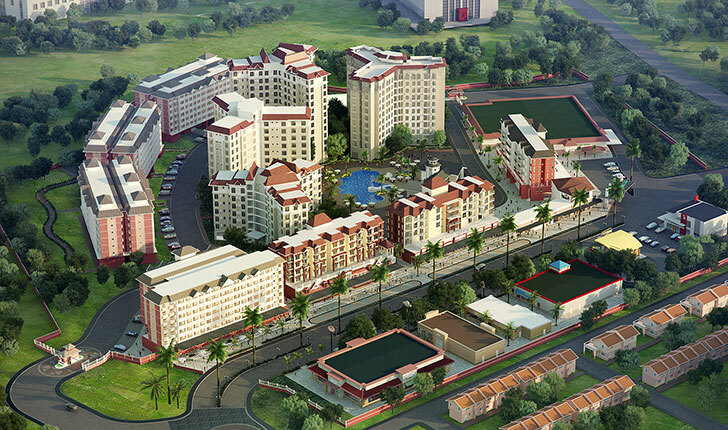 With Presidio’s commanding view of Laguna de Bay, these towers redefine the experience of community living. 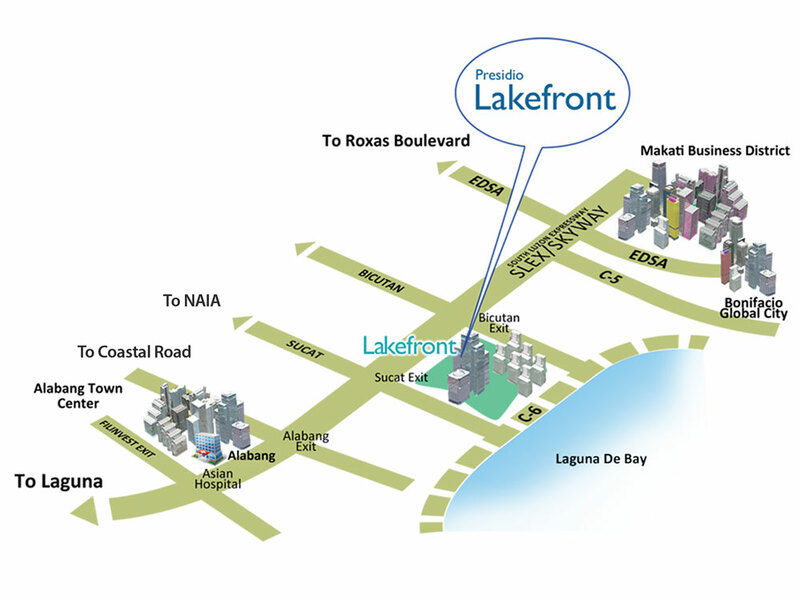 With views of Laguna Lake and Sierra Moun tains, Presidio at Lakefront is a quick 10 minutesvfrom Makati business hub and 15 minutes from Ortigas’ financial disctrict via C-5. 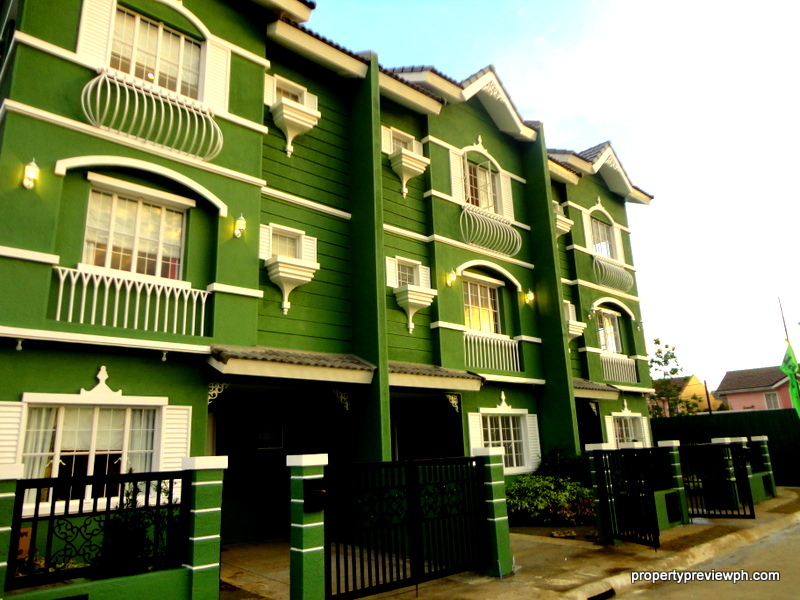 It is 10 minutes away from Alabang and 15 minutes from the airports through SLEX via Nichols Exit. With 4 major entry points from the South Luzon Expressway SLEX via Sucat exit, the future C-6 exit, Bicutan access and the Taguig National Road, Presidio at Lakefront is a natural growth and business extension to Makati. There is also a Lakefront Shuttle Service that takes you to and from SM Bicutan and Sucat. 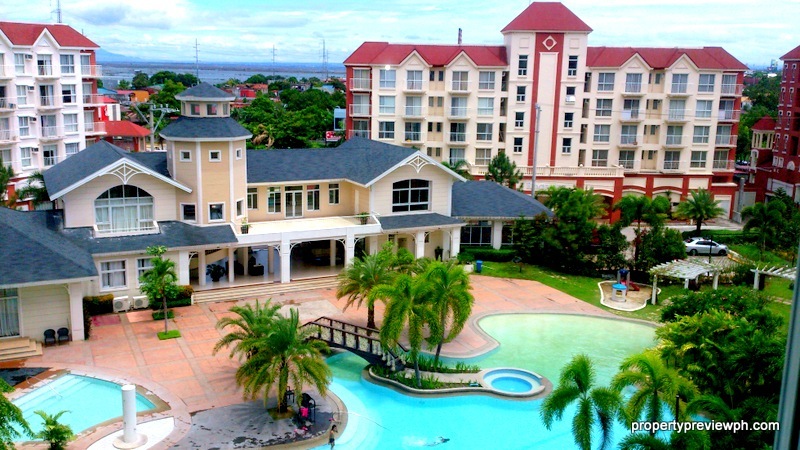 Mid-rise, Victorian-inspired residential and mixed-use buildings are clustered around the sprawling clubhouse set on a spacious 7-hectare development within Lakefront 20 meters across the Laguna lake. Studio, one and two-bedroom units in mid-rise structures can be packaged as multiple units to create custom residences. Mixed use buildings zone along main road to keep the privacy and security unit owners. Gated, fenced enclave with exclusive entry for residents. Living in Presidio means a city-resort lifestyle that combines home accessibility and exclusivity set on a quiet and secure community at Lakefront.